Texan’s know GIFTED has the highest paying, most flexible Per Diem PRN Nursing Jobs! GIFTED finds the best Texas per diem nursing jobs to match your needs. We find the best PRN opportunities in Texas. As a nurse owned and operated agency, we find compassionate, caring nurses for competitive healthcare facilities in the state. Our agency takes pride finding opportunities to meet your needs. 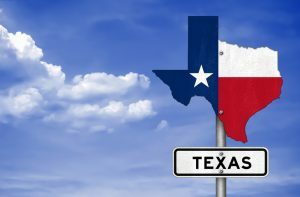 Why Choose Texas Per Diem Nursing Jobs with GIFTED? Per Diem nursing gives you the highest amount of flexibility and freedom. You can earn full-time benefits working part-time hours. Find your endless summer with Texas per diem jobs! GIFTED is looking for fun, compassionate nurses in the lone star state. s in cities across Texas including cities near Houston, Austin, Dallas, and San Antonio. At GIFTED Healthcare, we support our nurses offering competitive opportunities in per diem nurse staffing. We get what you want, when you want it. What else could you ask for? No seriously, we’re listening. GIFTED is here to support you. We’re committed to keeping compassionate nurses at the bedside. Our company offers flexibility and support that exceeds expectations of nurses across the nation. At GIFTED, we strive to make the nurses feel supported and valued. Our team finds high quality PRN nurses in Texas and provide opportunities at doctor’s offices, clinics, hospitals, and long-term acute care (LTAC) facilities. We fill both short and long-term contracts. 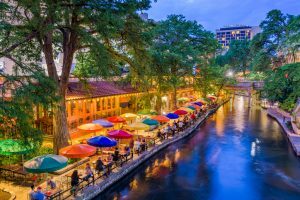 Is San Antonio, TX where your next per diem job will be? Find out with GIFTED! Ready to experience Per Diem Nursing with GIFTED in Texas?